The aim of this clinic is to detect any changes that may affect a patient’s health, so that the correct treatment can be provided, ideally at an early stage. Some of the illnesses monitored include heart attacks, angina, strokes, palpitations (irregular heart rhythms) and left ventricular failure. We have three nurses trained in the care of patients with diabetes, Sandy Norman, Rebecca Walker and Amelia Baker. Sandy and Rebecca have completed the ENB 928 course and are trained to initiate insulin therapy in general practice. The clinic nurses are able to diagnose, plan treatment and monitor patients with Type I and Type II diabetes, and also diagnose and monitor patients with 'pre-diabetes'. A care-plan is agreed with the GP. Stable patients are usually seen twice yearly (unless otherwise agreed). This involves an annual appointment with a fasting blood test, in the month of the patient's birthday, and a follow up six months later with a non-fasting blood test. Appointments for diabetic clinic are usually booked in advance via the treatment room on 01271 314236. Housebound patients are seen by the community nurses and their care shared with the GP and either Sandy or Rebecca. If necessary patients care is shared by specialists at the hospital. The nurses are constantly updating to provide up to date evidence-based care, attending regular courses for diabetes and diabetes related care. The clinic is run by nurses with specialist interest in respiratory care. Desri Dyer and Rebecca Walker both hold the National Respiratory Training Centre Diploma in Asthma and Chronic Obstructive Pulmonary Disease. The nurses keep their knowledge updated with regular reading, attending courses and both belong to the South West Respiratory Forum. Lynn and Amy are involved in the respiratory clinic as a technician taking detailed breathing tests (spirometry). The two main respiratory conditions seen in the clinic are Asthma and Chronic Obstructive Pulmonary Disease however we sometimes see patients with other respiratory problems such as bronchitis, Alpha-1 Antitrypsin deficiency, hyperventilation and childhood wheeze. Patients are seen yearly in the month of their birthday for both clinics. 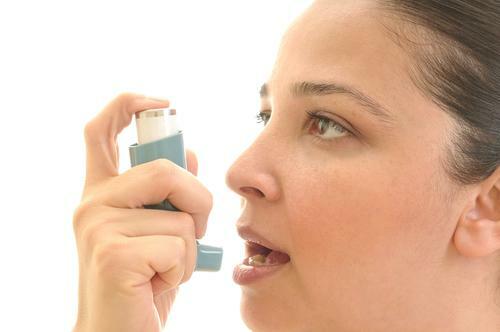 Asthma is a common condition affecting the small airways which allow air to flow in and out of the lungs. The airways are inflamed and irritable, they can narrow easily in response to various stimuli, causing symptoms such as wheeze, shortness of breath, cough or chest tightness. Without the correct medication these symptoms can become disabling, frightening and even life threatening. Treatments prescribed are in accordance of the British Thoracic Society Guidelines/ Scottish Intercollegiate Guidelines Network. The aim of the asthma clinic is to enable patients to take control of their asthma symptoms in order to lead a normal and healthy lifestyle. The nurses along with your GP take an active role in the diagnosis of asthma, monitoring of symptoms, treatment options and using inhaler devises. Patients are taught how to recognise and treat symptoms of deteriorating asthma, as well as what to do in an emergency. Patients are also taught how to recognise asthma triggers, and how to respond to triggers such as the common cold. In addition to these clinics a respiratory nurse is available everyday (except during annual leave) for telephone advice. COPD (Chronic Obstructive Pulmonary Disease) is an umbrella term for a collection of chronic diseases which affect the small airways of the lung, where airflow is obstructed and not fully reversible. These conditions include chronic asthma, emphysema and chronic bronchitis. The respiratory nurse and your GP provide a service for diagnosing COPD which includes spirometry testing, they provide support and advice on reducing risk factors such as smoking and managing the condition with medication, breathing techniques, exercise, diet, treating infections and sputum clearance. Many patients with COPD are given long term oxygen therapy at home. These patients are usually managed by the hospital respiratory consultants and specialist nurses. However the clinic nurses here will still be available to support these patients. They can provide information on what to expect at a hospital visit, telephone support and advice to benefits which may be available. Influenza and Pneumococcal vaccinations are recommended to patients with COPD. Medication is tailored to meet the needs of the individual patient and may include inhalers, oral medication, nebulisers or oxygen therapy. Treatment follows the British Thoracic Society Guidelines. Information can be provided about benefits which may be available for some patients with COPD. If you are on medication for your blood pressure you will need to attend the hypertension clinic once a year and your GP once a year. Our healthcare assistants Lynn, Pip and Amy run our Hypertension Clinic. They will check your weight, height, life style, family history, blood pressure, urine, bloods and update your prescription if necessary. 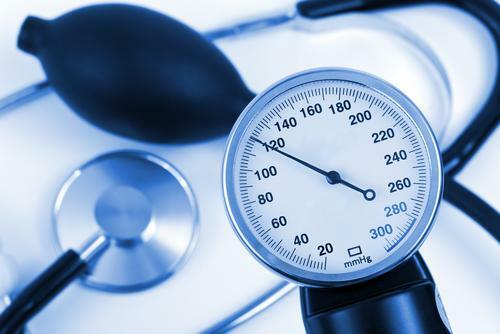 If your blood pressure is regulated at less than 150/90 you will see your GP in 6 months. If it is raised you will see the nurse on a further two occasions to see if your blood pressure settles. If not, she will refer you back to your GP for review. To make an appointment, contact the treatment room receptionist on 01271 314236.